Wednesday’s Wowzers: Summer Is Dwindling! You are here: Home / wowzers / Wednesday’s Wowzers: Summer Is Dwindling! I am finally facing the cold hard facts that even though it's blistering hot right outside, summer is dwindling. I am still kind of in denial. I don't want to believe it. We haven't done nearly enough for this sunny season to be over! So the next few weeks, I have ordered us to have family fun just about every day of the week! Even yesterday, my husband came along with us to our favorite park to enjoy the train ride and the wading river. I think I'm becoming the Summer Fun Nazi! 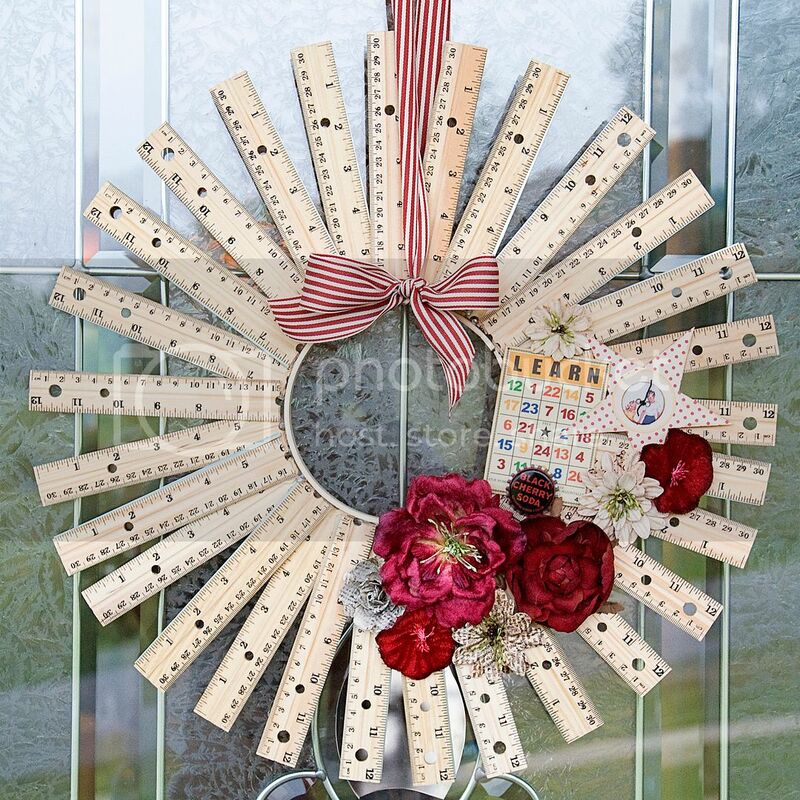 I am IN LOVE with this ruler wreath from The Polkadot Chair. Isn't this perfect for back-to-school time?! I love how it resembles a sunburst mirror. This is just plain genius. 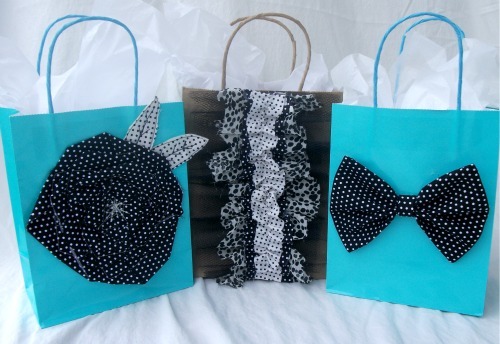 I have probably looked at these embellished gift bags a dozen times since first spotting them on Miss Lovie. Straight up eye candy! I love all the different possibilities--bows, flowers, ruffles, and more! Great idea! I am in total awe of Kendra from My Insanity. Her ABC Birthday for her little guy was amazingly awesome! 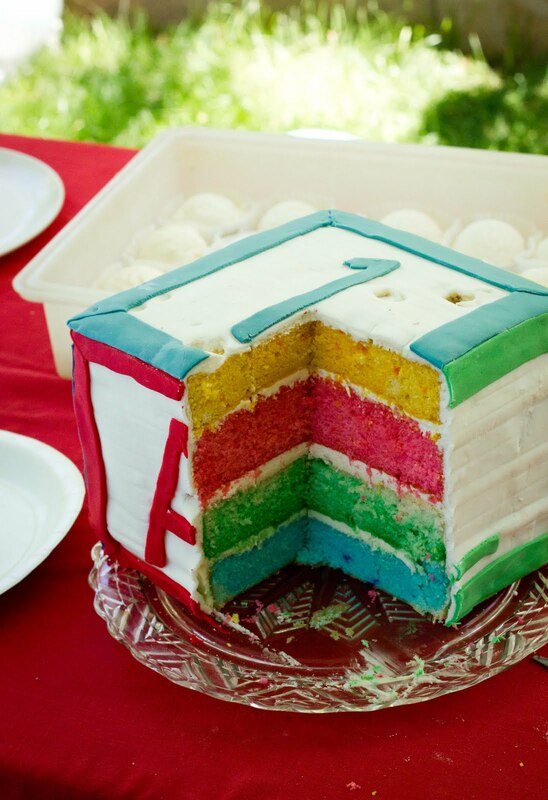 Just take a look at this rainbow block cake. I am super impressed with all of the little details! Just drop everything right now. 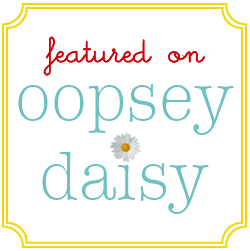 Head right on over to Little Lucy Lu where you can see Bec's amazing Mom Cave. I am just plain jealous of her creative space! All of that storage is ah-MAZ-ing. Here's another great idea for back to school! Rook No. 17 created these darling vintage lunchbox notes. 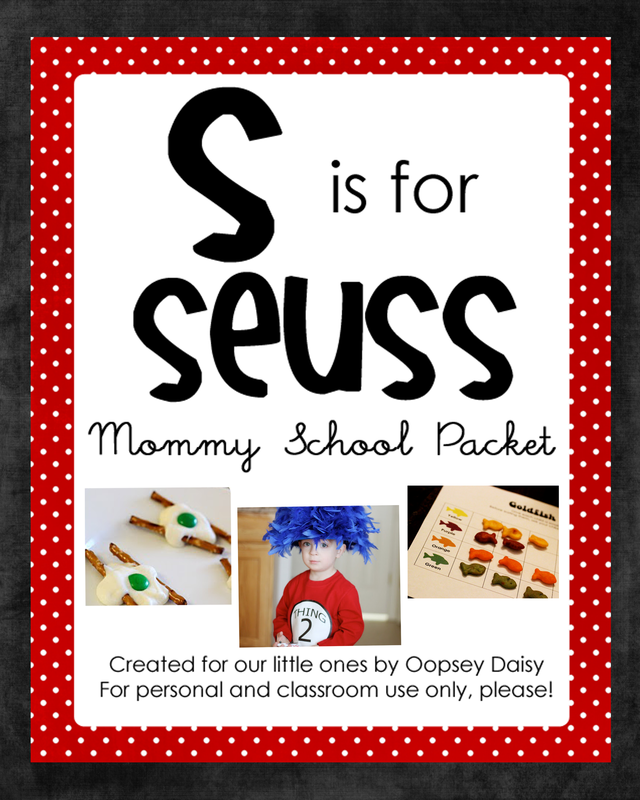 And they are printable, so you can make your own for your little guy or gal. Now these make me think of many happy childhood days watching Smurfs! 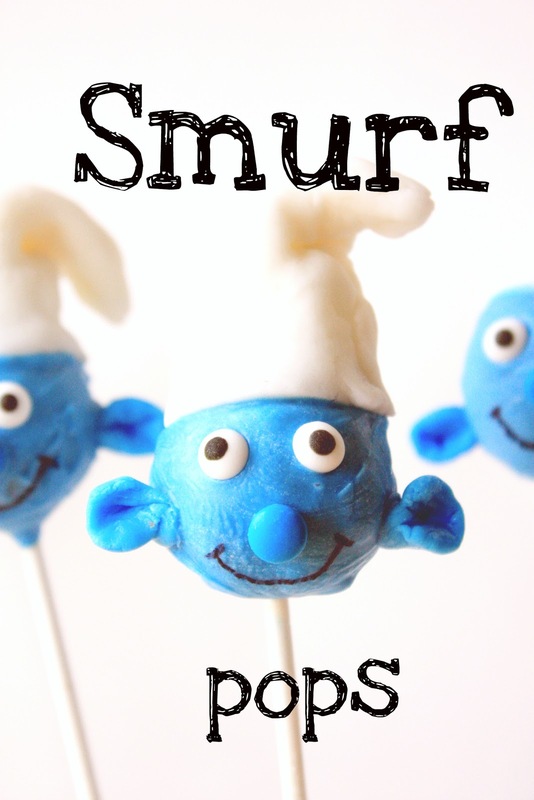 How adorable are these Smurfs pops from Munchkin Munchies?! 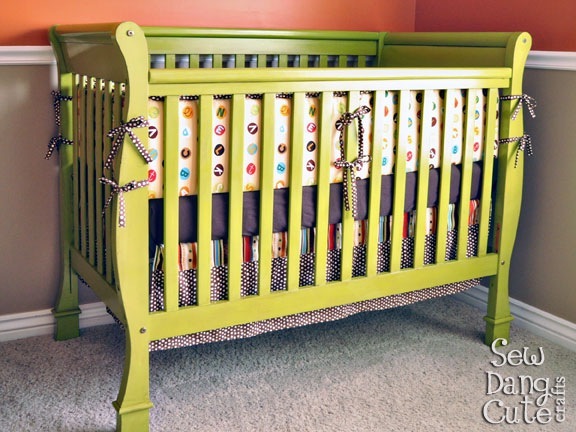 Tam from Sew Dang Cute Crafts has been working hard on her son's nursery. I had the pleasure of seeing it in person while I was in Utah, and it is seriously "so dang cute!" I love how she spruced up an old crib and chest of drawers. And her paint color choices were perfect. 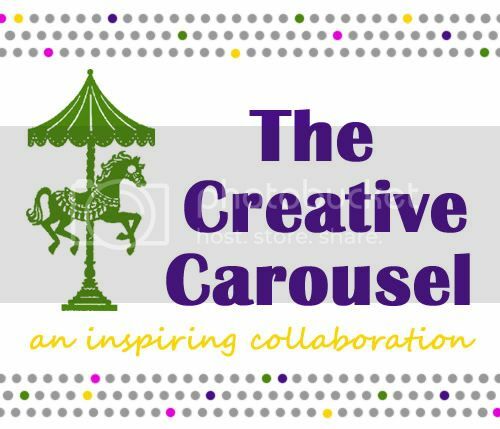 What great ideas have you seen this week?? 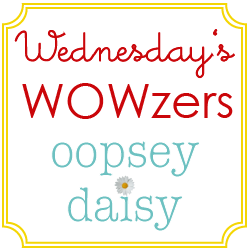 So honored to be on your Wednesday’s Wowzers List, Alison! Great pics Alison! I am loving that awesome crib. I wish I had the guts to go nuts with paint colors! Amazing projects! I could stare at the ruler wreath for forever. LOVE it!! And I’m so jealous you got to see Tam’s nursery in person! Fun! I hate for summer to end, but I’m am so ready for some fall temps around here. Aw…Thanks, Alison! You’re pretty awesome yourself! Thanks for the feature! Really fun ideas here! These are all fabulous, and yes, that ruler wreath is adorable! These are all awesome finds, thanks for sharing! Wow thanks for the feature Alison! That was a fun surprise!!! Also, thanks for the shout-outs on Twitter. You are so sweet!!! It was so fun meeting you IRL. Hopefully, we’ll get to meet up again.